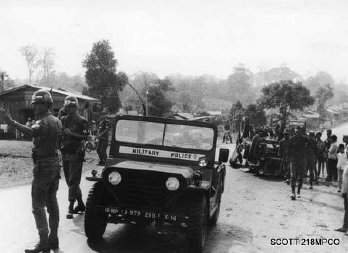 Above: SGT Alfred Marsh directs traffic at the scene of a TA while SP4 Kenneth Johnson is on the radio with the MP Station, Ban Me Thuot. 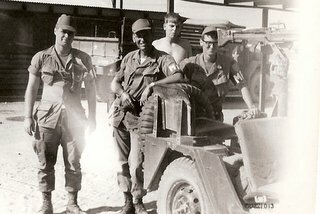 TRADOC file photo. 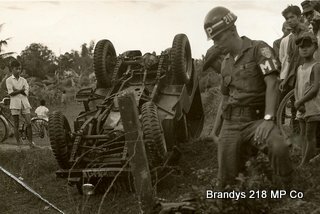 Tony Brandys on the scene of a fatal traffic accident, '68. Above and immediate Right: Bob Cuzzi provided some photos but has no info on others pictured with him. 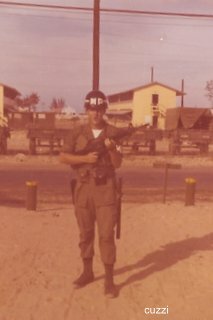 Camp McDermott, '68 - '69. 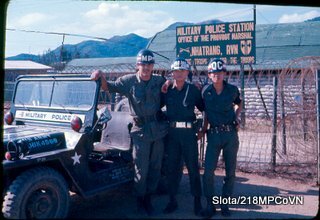 Above: Ray Slota on joint patrol at the Nha Trang PMO with ROK MP and VN QC, '70 - '71. 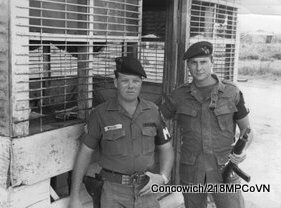 Above: Unknown with Paul Concowich, 5/'68. 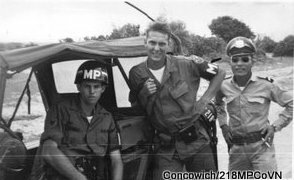 Unknowns with Paul Concowich (C), Cam Rahn Bay, '68. 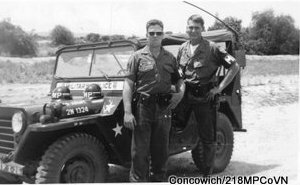 Unknown MP with Concowich on patrol, '68.